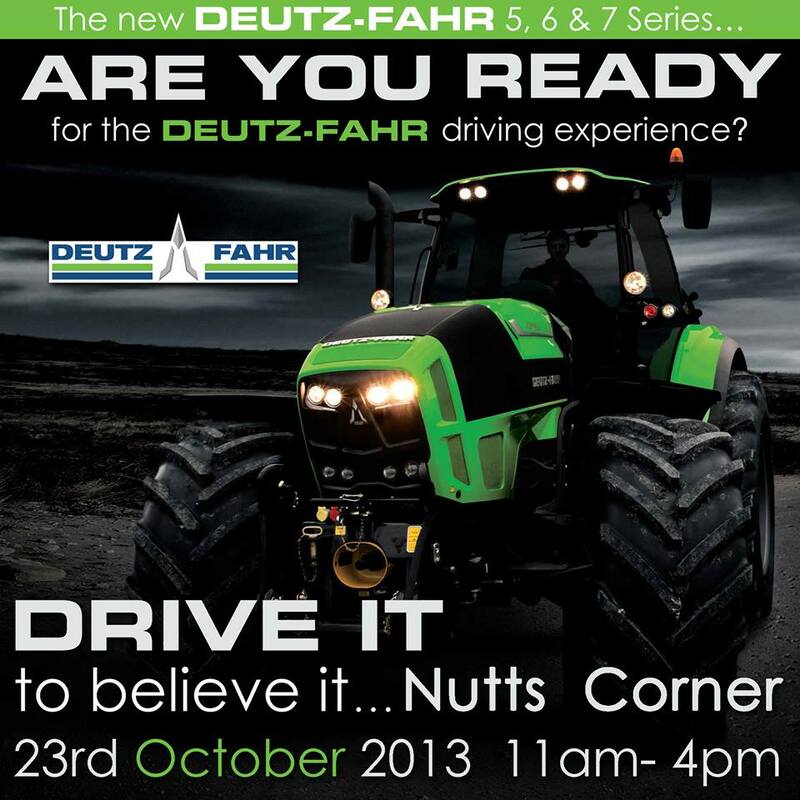 To coincide with launch of the new award winning range of Deutz-Fahr tractors, Northern Ireland Deutz Fahr dealers would like to invite you to the Deutz-Fahr drive it day. The day will give the general public the opportunity to drive a selection of tractors from the new range. The drive it day will take place on the 23rd October 2013, in an expansive area close to Nutts Corner roundabout. The location allows the customer to obtain a good feel for each of the tractors in the range. Deutz-Fahr company representatives will be available on the day as will refreshments and entry into a free draw for an array of Deutz-Fahr merchandise. For further information on the Deutz-Fahr drive it day feel free to get in contact with us on 028 207 62613 or via email at uel@hunterkaneandson.com. We look forward to seeing you on the day.